Have you ever thought about becoming an FLVS instructor? 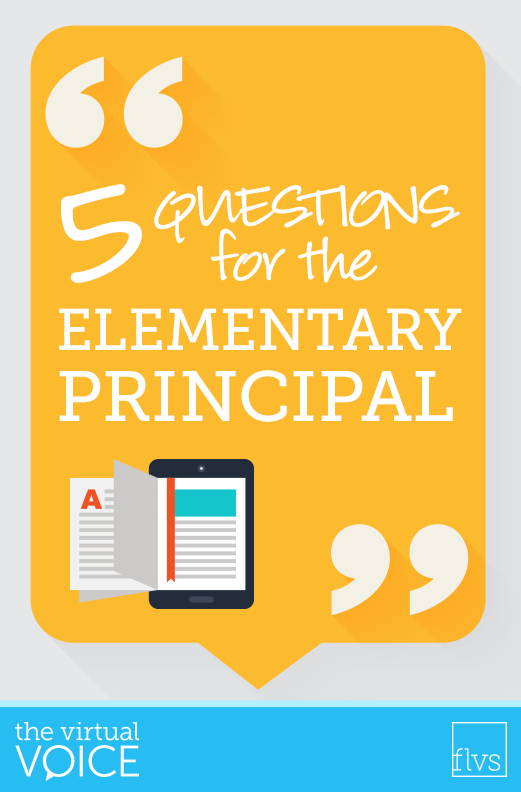 Or wondered what it’s like to be a lead teacher or principal at a virtual school? 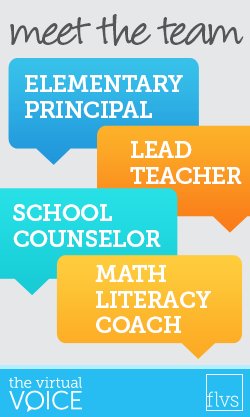 Maybe you want to know more about the different staff members that support our instructional team. From counselors to learning coaches to curriculum specialists, our team has some amazing talent! To celebrate the 2016-17 school year, we have been sharing posts all semester long featuring FLVS faculty and staff. Everyone on our team is passionate about delivering a high-quality, technology-based education that provides the skills and knowledge students need for success. Want to learn more? Browse the following posts to meet the creative and dedicated individuals who make every day a great day at FLVS. Did you know that FLVS has a college internship program that draws in students from all over the state of Florida who are looking to become virtual educators? Well, we do! 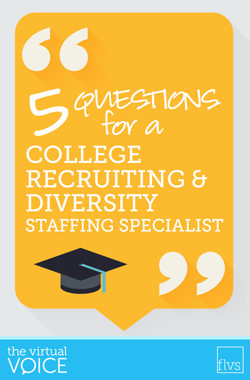 The College Recruiting and Diversity Staffing Coordinator serves as the guru for the FLVS Intern program, all college recruiting, and assists with diversity recruiting efforts. The Coordinator identifies and targets colleges and their teacher-prep programs, and organizations to improve the diversity of FLVS recruiting pipeline. The Coordinator also develops and leads a strategic instructional internship program designed to grow FLVS talent into the digital future. The FLVS guru who leads this program has made a name for herself over the years. Dawn Towle is known for her rapier wit and brilliant smile. In past years, she has performed at the FLVS Talent Show demonstrating her penchant for stand-up comedy that is inspired by her love of education. Did you know that FLVS develops our own curriculum for courses? The Curriculum Innovation Department works from concept to course delivery to provide an exemplary academic experience. 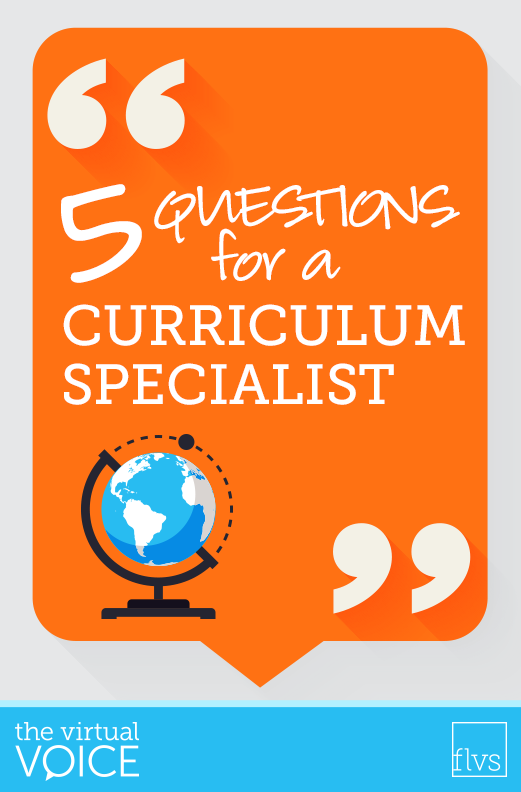 The role of a curriculum specialist is to collaborate with his/her project team to create course content that aligns with the state standards and also engages the learner. Christina Steele has been with FLVS for eight years and has had the opportunity to work in a variety of roles. Coming on board as an Earth Space Science instructor, she eventually took this expertise and became a literacy coach for several years. Therefore, moving to the Curriculum Department was a seamless move, as she uses her expansive literacy and science knowledge to support rigorous content for a variety of FLVS courses. Did you know that FLVS has a new FLVS Flex elementary program for grades Kindergarten – Grade 5? Leading this innovative program is Sarah Sprinkel who serves as its principal and biggest cheerleader. She was one of the program developers working with a team of FLVS administrators, curriculum specialists, school counselors, and teachers to create a virtual education experience that personalizes online elementary curriculum for each and every student enrolled. Sarah brings her years of experience inspiring elementary school students as a classroom teacher as well as working with school districts on their policies and government relations to enhance early childhood education. As FLVS Elementary program principal, she uses her diverse leadership experiences to ensure the school is exceeding the expectations for the students. Sarah works closely with her dedicated staff of instructors, support staff, and advisors looking forward to expanding the virtual program. The other weekend, my mother was happy to come and watch my son as I tackled a few things that had been on my list for a while. My “To Do” list consisted of starting a mortgage application, purchasing some “the best way to get your baby to sleep through the night” products and printing nearly 1,000 adorable photos of my now 7 month old. 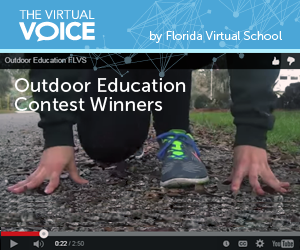 Last month, FLVS held a contest asking students to create a video describing the benefits gained by taking Outdoor Education. We received an overwhelming number of submissions during our final hours and everyone really stepped it up. A big thank you to all of our participants for taking the time to submit an entry! There were so many great submissions that it was hard to choose only three winners. We are very appreciative of our judges who helped us narrow it down!